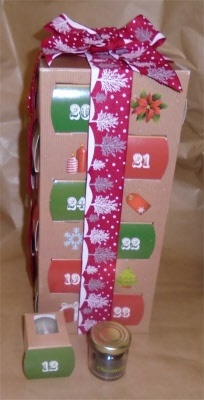 Luxury hand crafted advent box. 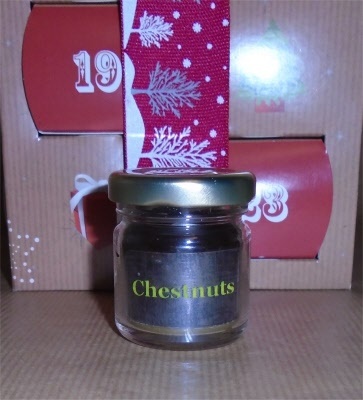 This box contains 24 individual mini jar candles, each one a different festive scent. Each jar candle will burn for Approx 8 hours. 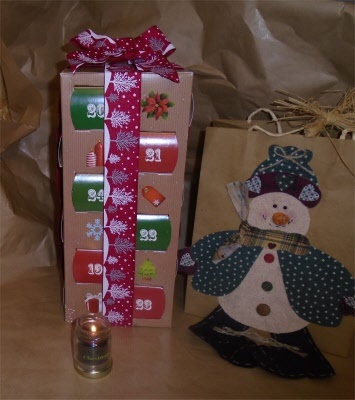 This unique gift is made exclusively by Gillen Candles and are made to order. The box is beautifully designed each jar in its own little pull out drawer box. 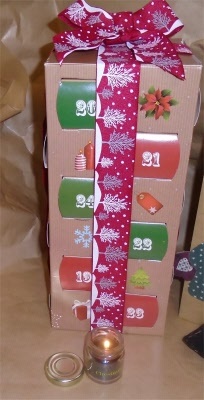 Each box has a window so you can see the jar inside when you pull out the jar and are numbered with each day from 1 to 24, The box is finished with a hand stitched fabric festive ribbon, with instructions on the lid. Fill your home with a unique scent every day from 1 st December to 24 th from a range of festive scents to include, Cinnamon, Chestnuts, Holly-berry, Cranberry, Winter-snow, Christmas tree, Mulled Wine, Mistletoe, Christmas Pudding, Frosted Plums, to name but a few. 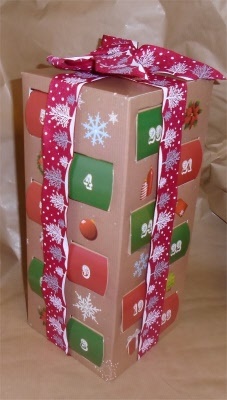 The box itself is huge 31 cm high x 14 cm x 15 cm making a stunning decoration to adorn any house during the festive season. 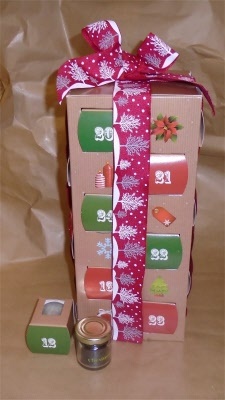 The box can be re-usable we sell refill jar pack for it as well. 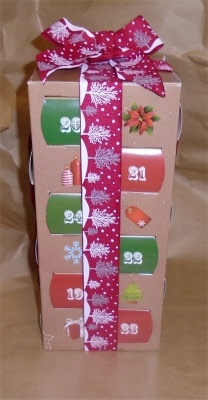 Advent box comes filled with 24 Festive scented ready to use. 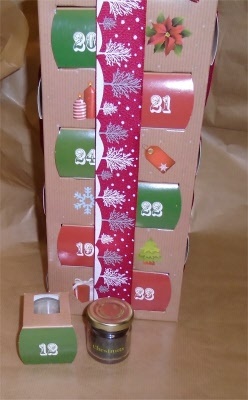 Jar Refill pack comes with 24 Festive assorted Jars only.